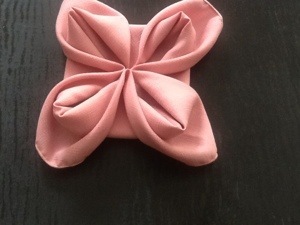 Napkin folding | ARTZCOOL'S BLOG! As you may or may not have noticed, I haven’t posted in a couple weeks. I think this is the longest i have gone without posting since i started this blog! anyways…We went away for March break on a cruise. It was amazing! We were spoiled rotten, ate non-stop, had fantastic weather, and the entertainment was great too! I would recommend Royal Caribbean cruise lines to anyone! Thank goodness we were not on the Carnival ship that got stuck for days…. Anyways, our flight landed in the middle of the night on Sunday, and of course by Tuesday, I was as sick as a dog. Thanks to John, I made it thought the week! I am feeling much better now, and thankful I wasn’t sick during our cruise! 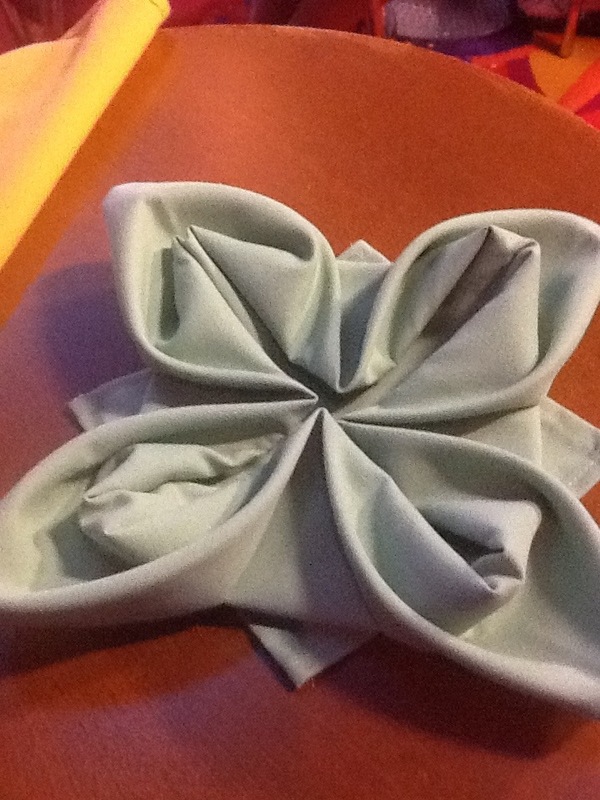 I thought I would share something that Sam and I learned how to do on the cruise, napkin folding! 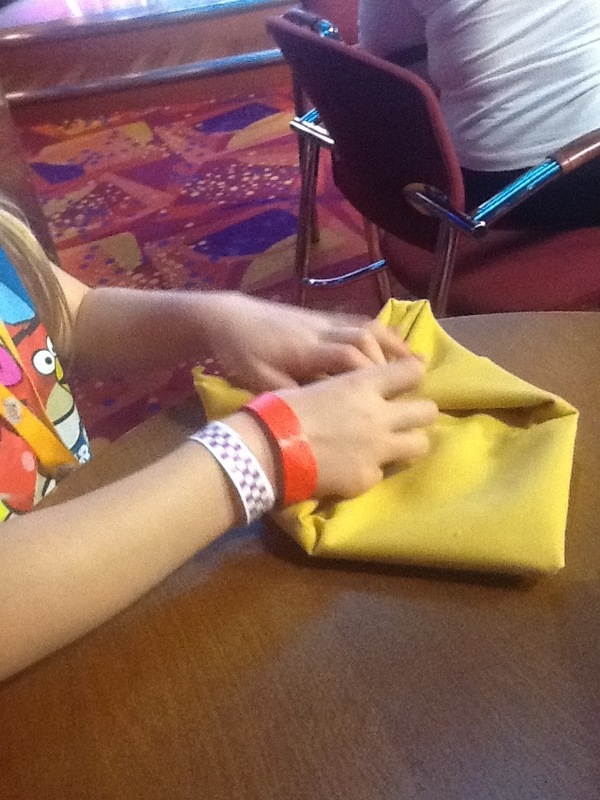 Yes, they actually had napkin folding classes! We went to part one and two! 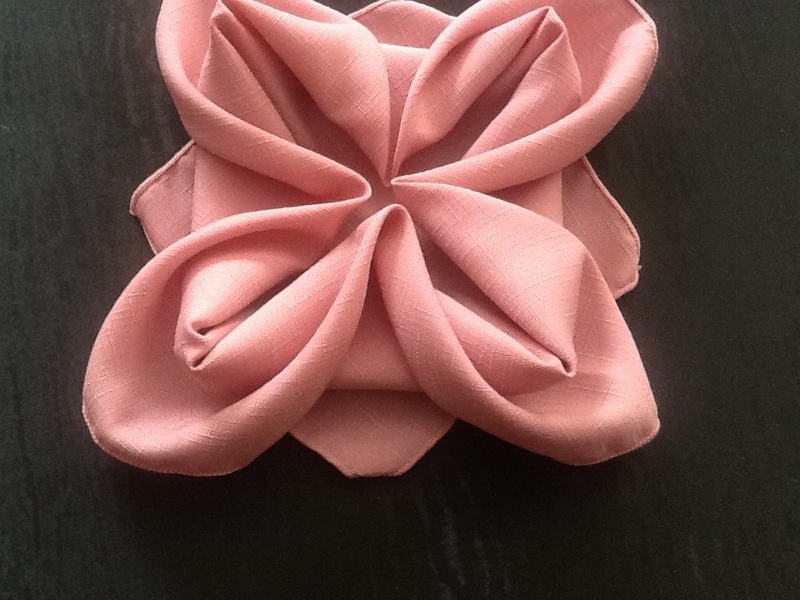 Here is one of my favourite napkin folds… The flower. 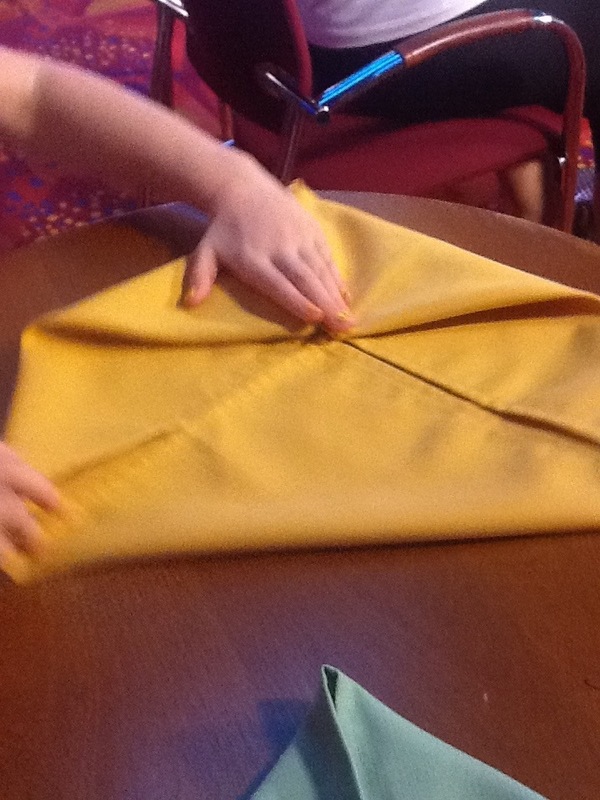 Start by laying the napkin flat and fold the corners into the middle. 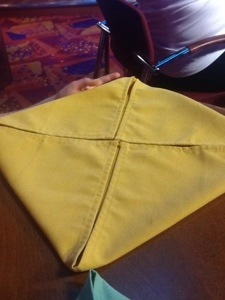 Flip the napkin upside down and fold the corners into the middle for a third time. Then, to make the petals, reach under and pull out the corners from the underside. It will look like the picture above. 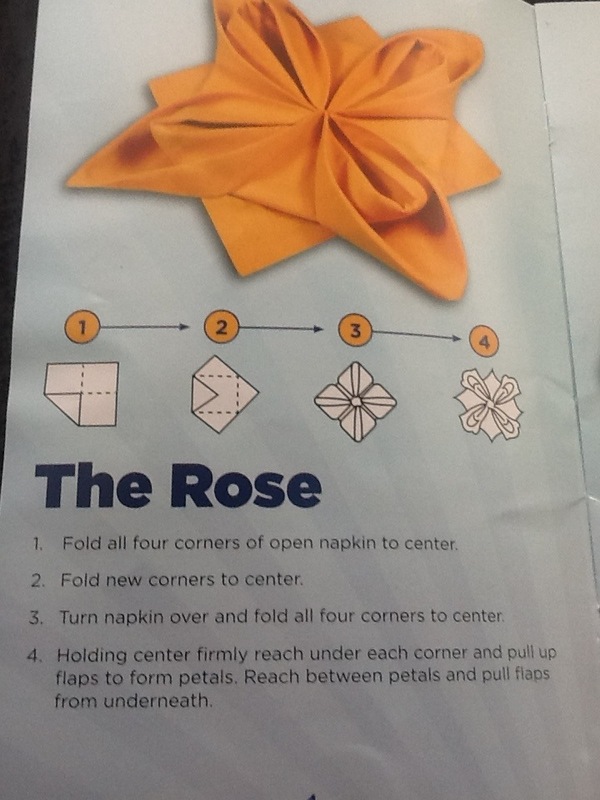 To make it look like a flower, you have to pull the petals out a little more. 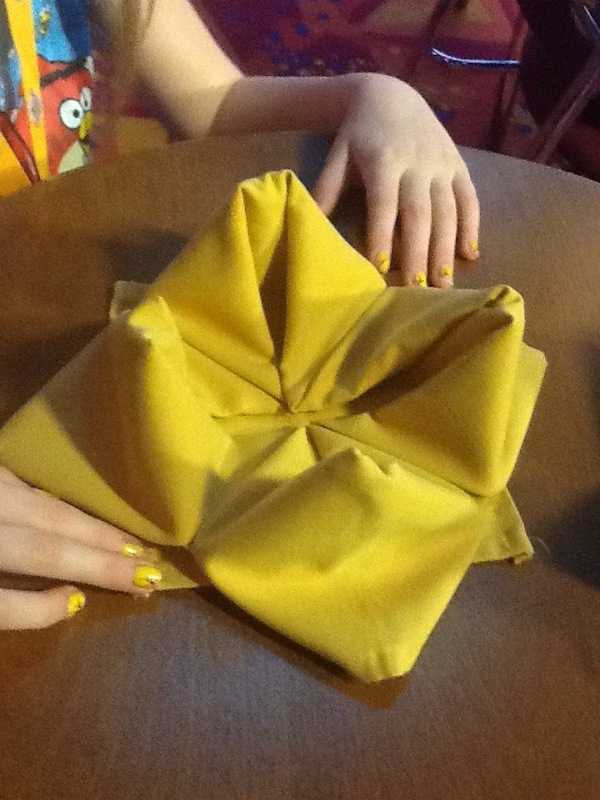 Be sure to keep a hold of the back of the napkin so the flower doesn’t come apart. Here is another napkin to show the difference. Imagine how pretty theses would look on the plates on your Easter table. They take less than a minute each to make. 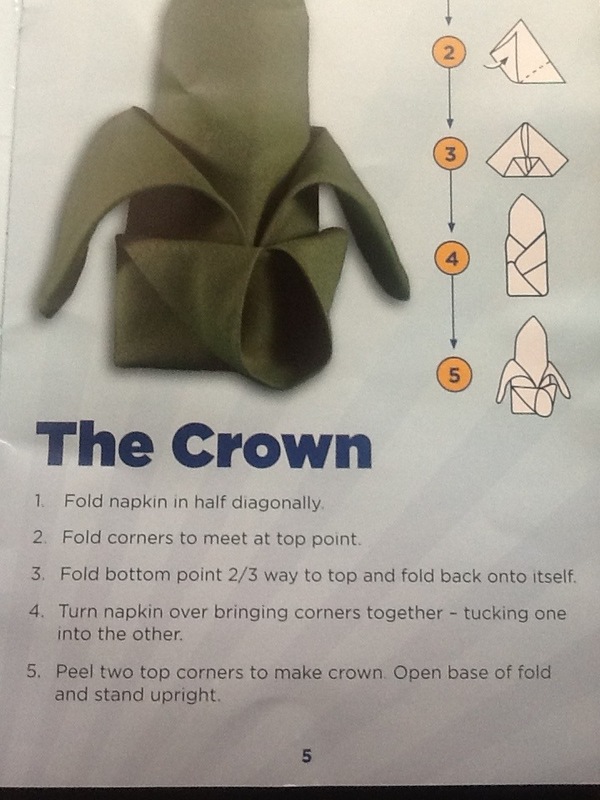 Here is our other favourite napkin we learned, the crown.